"My goal is to help identify the client’s needs, prepare a strategy to meet those needs, and provide value through creativity and advocacy." Fred Nice offers his clients a broad background in corporate, banking, tax, estate planning and business representation. At Leisawitz Heller, Fred concentrates on contract negotiations, corporate mergers and acquisitions, real estate, banking, tax, estate planning, trust and estate administration and fiduciary litigation. He advises businesses and their owners on structuring business transactions, solving business and tax-related problems, and on creative estate planning. Fred is admitted to practice before the U.S. Supreme Court, the Supreme Court of Pennsylvania, the District of Columbia Court of Appeals, the U.S. Tax Court and the U.S. District Court for the Eastern District of Pennsylvania. He has successfully represented clients before the IRS and the Pennsylvania Department of Revenue. Fred has lectured on estate planning, charitable giving, long-term care and nursing home planning, life insurance trusts, revocable trusts, elder law, special needs planning, 1031 tax-deferred exchanges, shareholder agreements, Marcellus Shale gas leasing and Gun Trusts. Fred is also committed to the Berks County community and has served in many capacities with several nonprofits, including the Reading Public Museum, the Boy Scouts of America, the United Way, Olivet’s Boys and Girls Club, and Opportunity House. Fred has been chairman of the board of Easter Seals of Eastern Pennsylvania, serving a seven-county area and president of the Berks County Estate Planning Council. 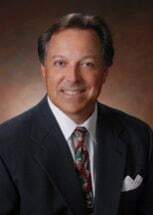 He is a past chairman of the Berks County Bar Association Estate Planning Section, and past President and Board of Director of the Berkshire Country Club. A graduate of Wyomissing High School, he earned a Bachelor of Science degree in political science from American University before obtaining his Juris Doctor degree from Duquesne University. Fred also earned a Master of Laws degree in taxation from Georgetown University Law Center.